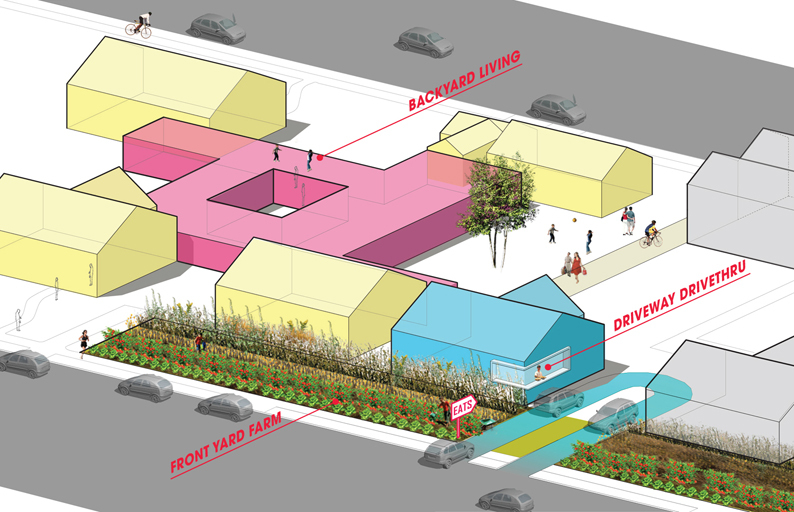 Freecell's Bright Dawn Farm will transform a backyard into a greenhouse as part of Droog and DS+R's Open House project. 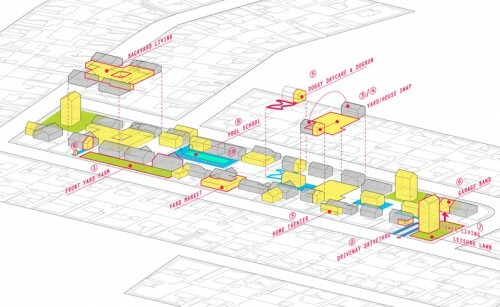 On Saturday, April 23 the conceptual Dutch design company Droog and Diller Scofidio + Renfro presented “Open House,” a project that offered dialogue for possible new social and economic models to revitalize pre-existing suburban neighborhoods. The one-day event began with a symposium at Columbia’s off-site Studio-X in Downtown Manhattan, followed by a field trip to Levittown, Long Island, where nine homes from the fabled, archetypal post-war American suburb were transformed into residential marketplaces with experimental installations by designers, architects, and homeowners. The symposium, featuring talks from Ramakers, Charles Renfro (partner, Diller Scofidio + Renfro), Heleen Mees (economist, Tilburg University), Roo Rogers (entrepreneur and director, Redscout Ventures), Mary Ellen Carroll (conceptual artist) and moderated by Mark Wasuita (Columbia University, GSAPP), kicked off the event with a bundle of critical framing issues. Mees revisited the Marxist notion that “culture follows structure,” and how the reach of the service industry in urban cities–abundant and often highly specialized, from doormen to baristas and janitors–contrasted vastly with the experience in suburbs, where sprawl necessarily lowers density and the ability to sustain such a fluid economic model. Wasuita spoke of the changing ideology of suburbia and the individual, citing marijuana growhouses in California residences as an extreme example of how an individual’s identity can transform by practicing an alternative use of space. Rogers spoke of collaborative consumption, a system that places on emphasis on service over ownership, as demonstrated by ZipCar’s successful car sharing model, while Carroll discussed a long-term project in Houston that includes the repositioning of a house in nearby Sharpstown, Texas, a planned community whose demographics have changed radically over the last decades. 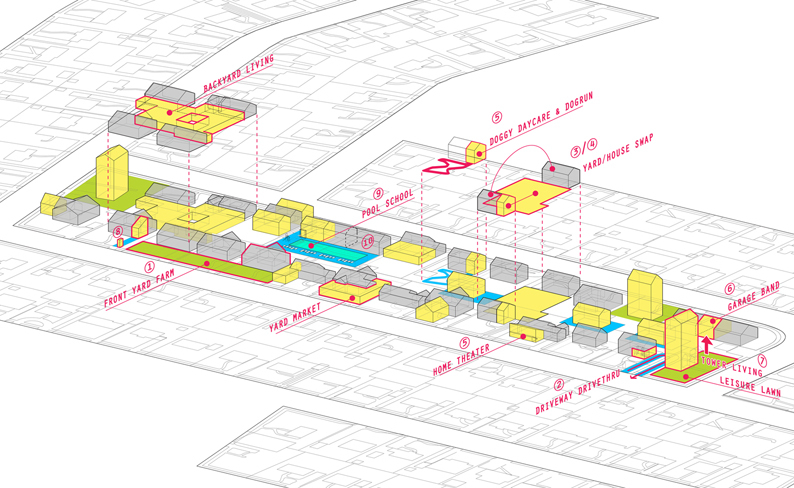 All tied into the driving ideas behind the Open House project, which, according to Renfro sought to help people “find their inner service provider” as a means of generating an alternative economy. Among the re-imaginings that transformed each home into a personal business: House Dress by L.E.FT playfully wrapped the building exterior in a giant skirt, turning its interior into a casino; Bright Dawn Farm designed by Freecell (pictured) transformed a backyard into an agrarian farm with a 60-foot linear greenhouse; and an installation by EFGH visualized a service-intense masterplan applied to a six-block case study of Levittown. 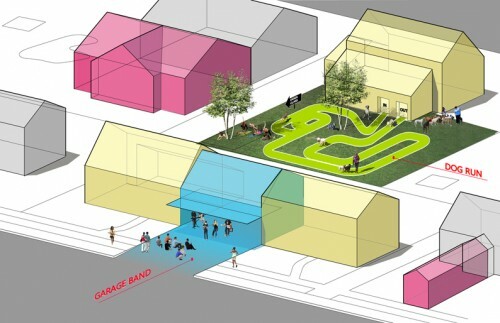 While some designs were loftier than others, the Open House project shows creative ways to generate revenue from home, beyond mowing your neighbor’s lawn. 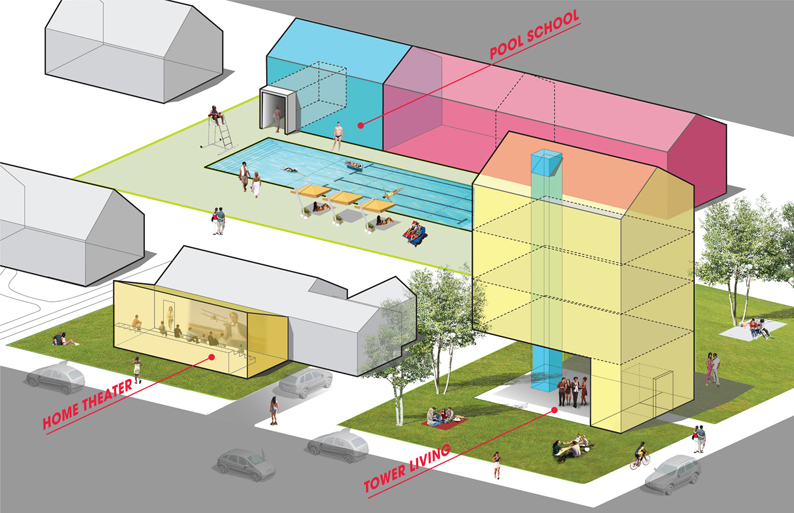 Open House is the second of New York-based conceptual projects by Droog Labs, the experimental think-tank arm of the Dutch design company. 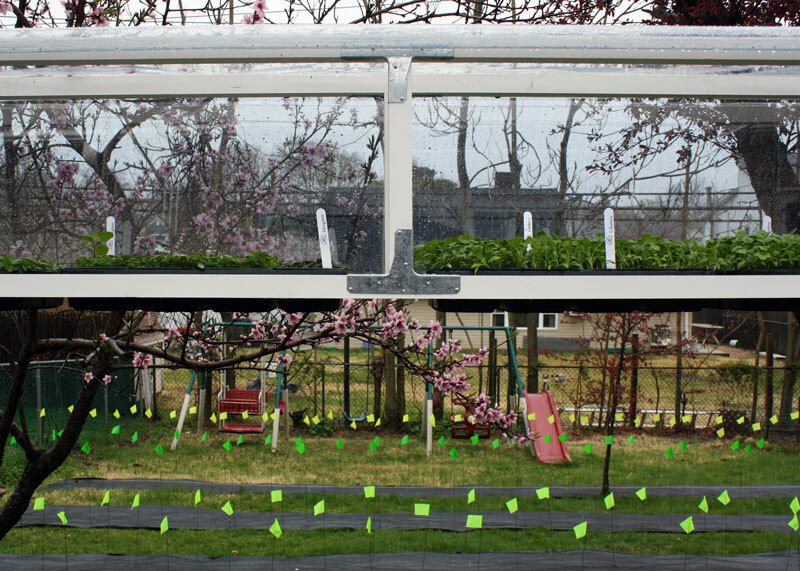 The first, “Pioneers of Change,” took place on Governor’s Island in 2009.